NEW YORK —There is a change in administration in Liberia. Former president Ellen Johnson Sirleaf turned power over to newly elected President George M. Weah. 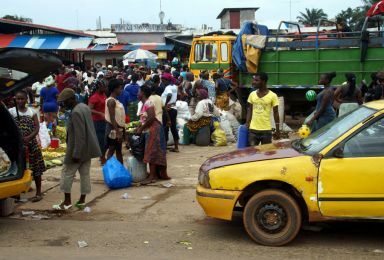 With the election of Weah many Liberians expected improvement in the country, especially in the standard of living. More importantly, the need for employment was one of the central and key highpoints that Liberians and some in the international community expected the new government to address. Having a job for citizens and residents of a nation is vital. From the look of things in Liberia, it would seem there is a clueless understanding of and about job creation and what it means to reduce Liberia’s unemployment rate and level by putting people to work. The current Liberian government is falling in the same trap that dragged the previous administration before it: unintended corruption, waste, and the inability to identify and bring in other professional Liberians who have specialized skills in certain fields and disciplines to change the look of the situation in the country. Visiting Liberia under the auspices of an international organization in recent days, every morning I observed a bunch of loyalists appointed to positions, instead of going to do their jobs of rebranding and making the Liberian government work for the Liberian people, would gather in front of and around the president’s home or office seeking favor and craving attention. Every one follows the president. Ministers and others follow the president instead of working. President Weah has a huge task and he must deliver, because for the past 12 years his party while in opposition, criticized the Sirleaf administration. In 12 years, the question many in the local international community present in Liberia are asking is: why didn’t this group of opposition political force prepare to govern before this day? Some international staff associated with a number relief organizations in West Africa say many opposition political parties and groups in the region are usually unready to lead but they want state power. As things stand, it seems every promise of the new administration is not going to be fulfilled because the right people are not being given the opportunity to do what they know best. Until the new government can learn from the failings of the past administration, Liberia remains a fragile state.